I know I’m a few months late with this post – but it’s finally here. Back in April 2014, Mom and I travelled to Hawaii for 12 days. 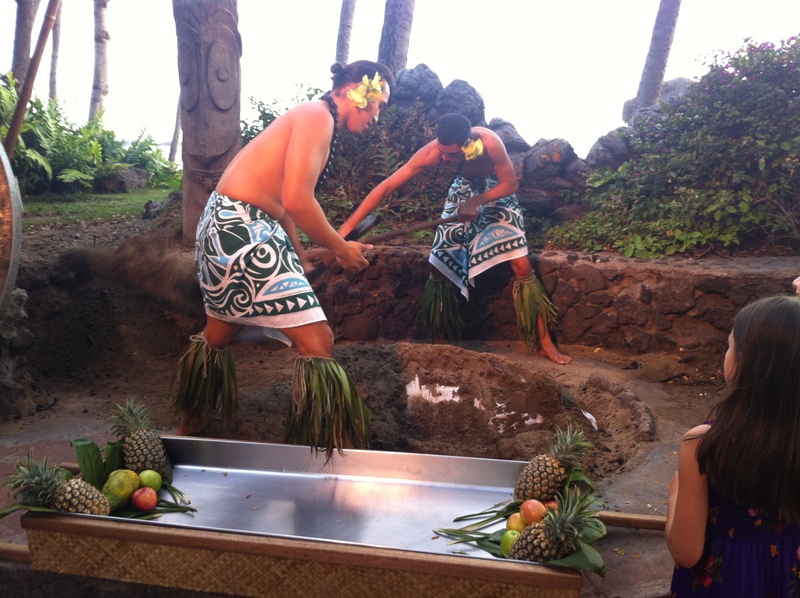 We visited the islands of Maui and Oahu. 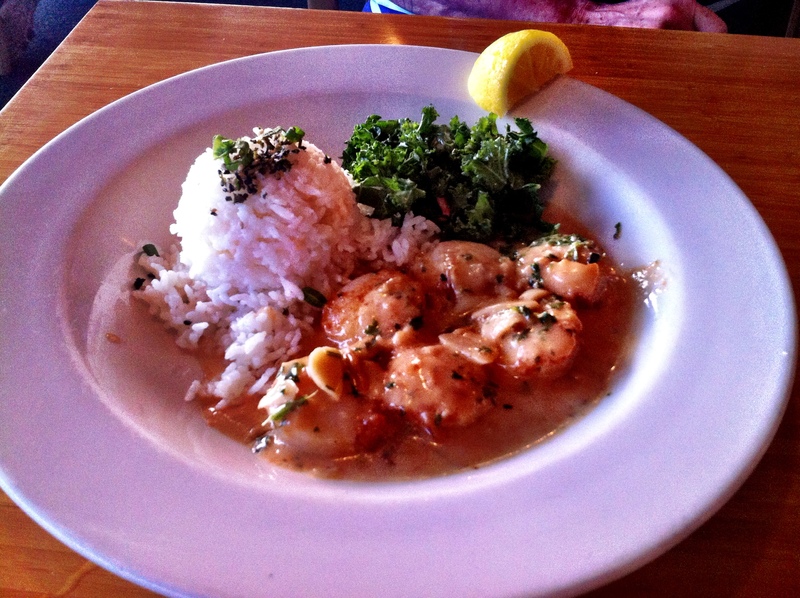 Here are some of the highlights of the fantastic Hawaiian food we had. Even on holiday’s, mom puts me to work. Find the recipe here. Close to our hotel we found Honokowai Okazuya & Deli. This huge plate was perhaps one of the most delicious thing I ate this entire trip! 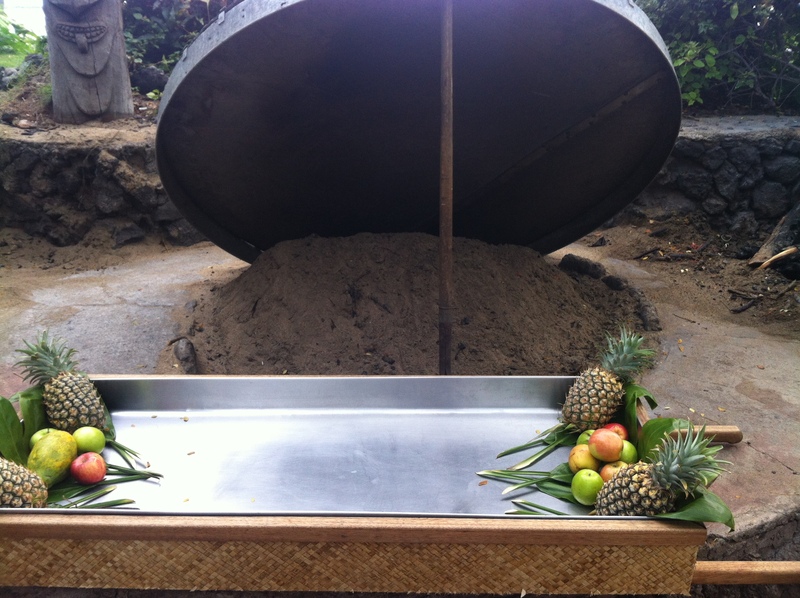 It is a mixture of Japanese BBQ and Hawaiian. 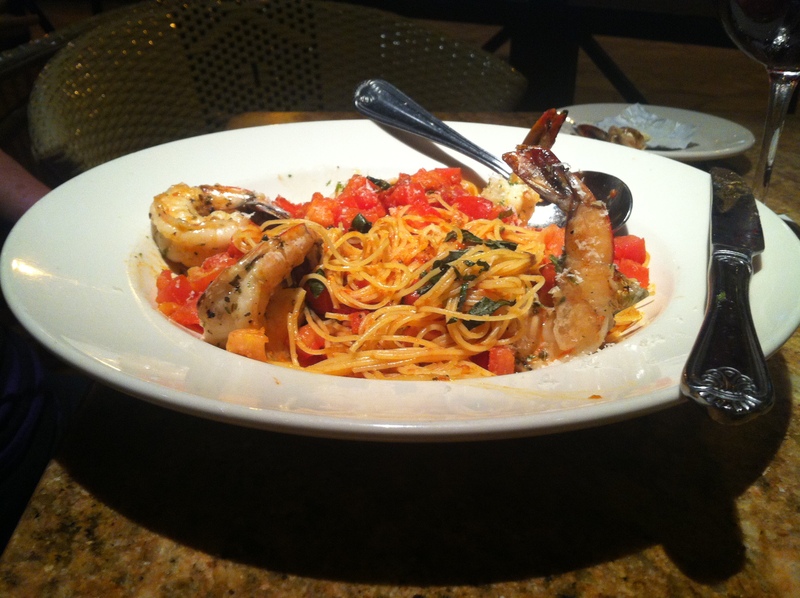 Our plate lunches served as both lunch and dinner. 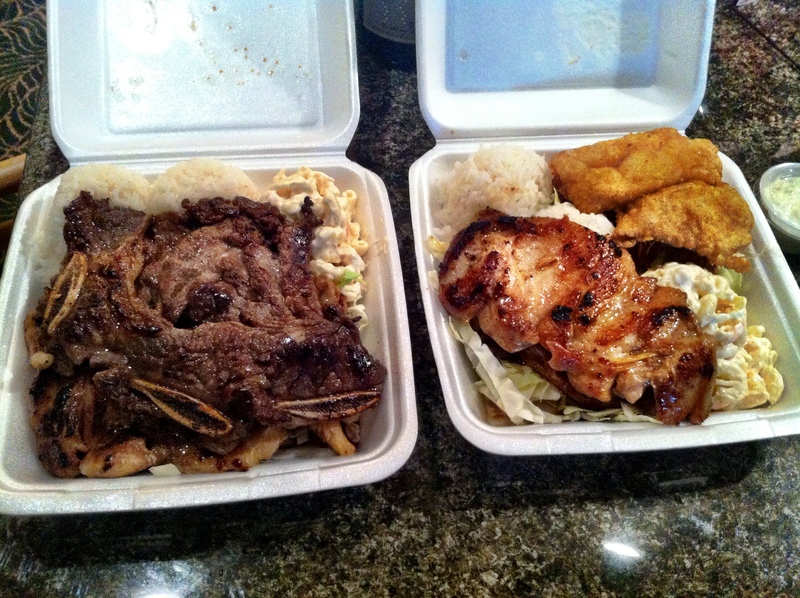 One was BBQ beef and spare ribs, the other BBQ chicken and fried fish, both served with two scoops of rice and macaroni salad. The meat was so tender, perfectly flavoured, and absolutely delightful. I’m very glad I got to try one of Hawaii’s quintessential meals. 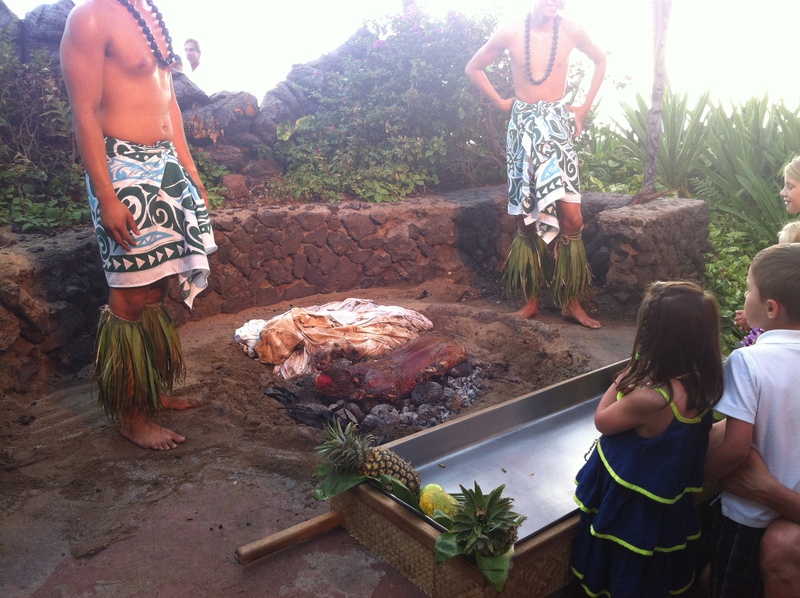 I was very fortunate, when we went to a luau, to be sitting close to where the Kalua pig was being cooked. 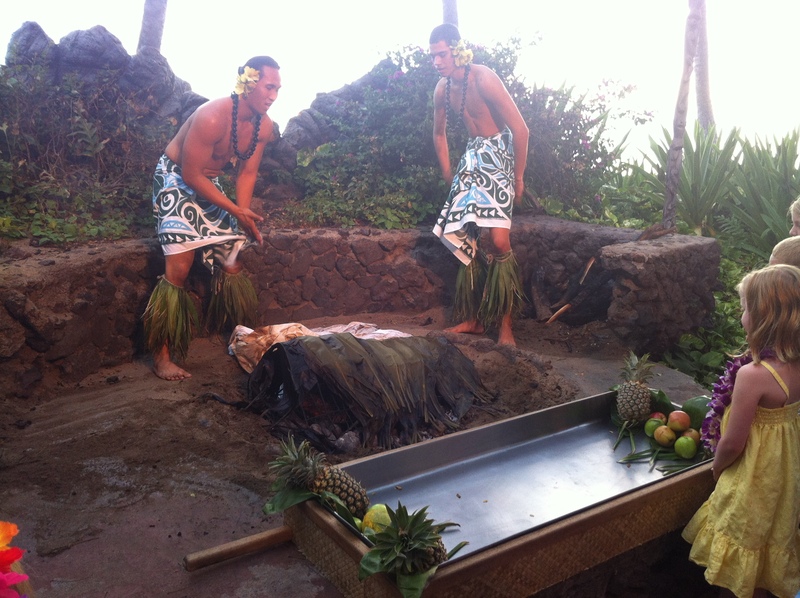 I got some pretty cool pictures of them removing the pig from the underground oven. 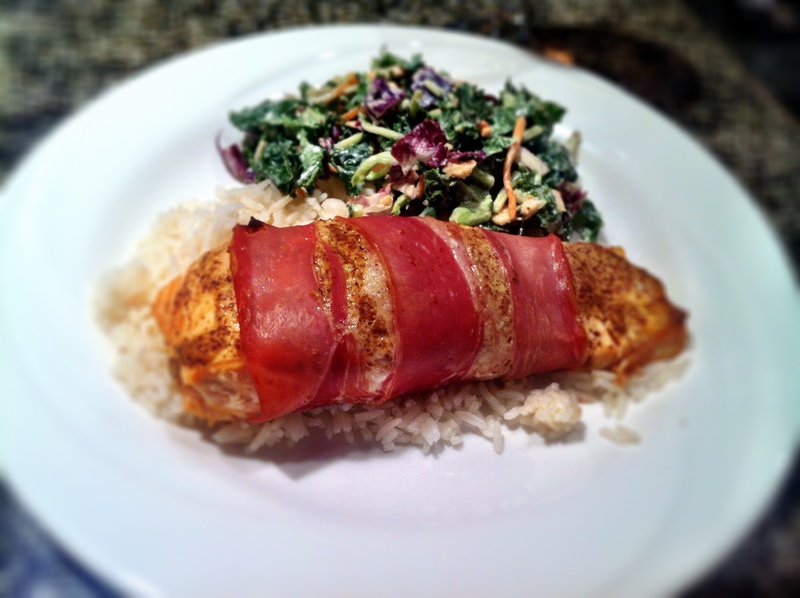 This method of cooking takes a while, but the results are outstanding. When we were in Oahu, I had the pleasure to see a high school friend. 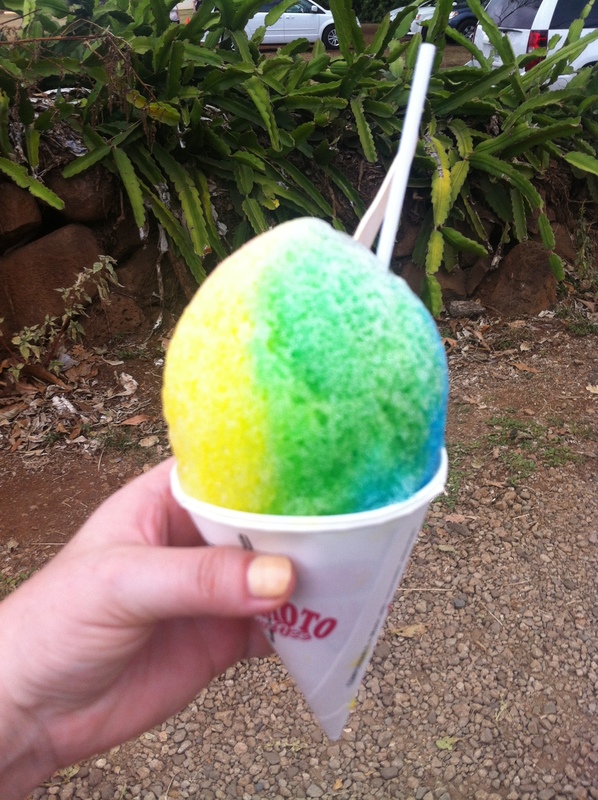 She took us along the North shore where we visited Matsumoto’s Shave Ice. This popular joint, with huge lines that can go around the block, has around 40 different flavours, with endless amounts of combinations. I had the “Rainbow” combination – strawberry, lemon and pineapple. As much as it is shaved ice and flavoured syrup, on a hot day, one of these will sure cool you down. On our last night in Maui, we went to this great spot in Lahaina, overlooking the ocean, Lahaina Fish Co.. Not only was the service fantastic, the food was amazing. Mom had Sautéed Sea Scallops, in a garlic, wine lemon butter sauce. 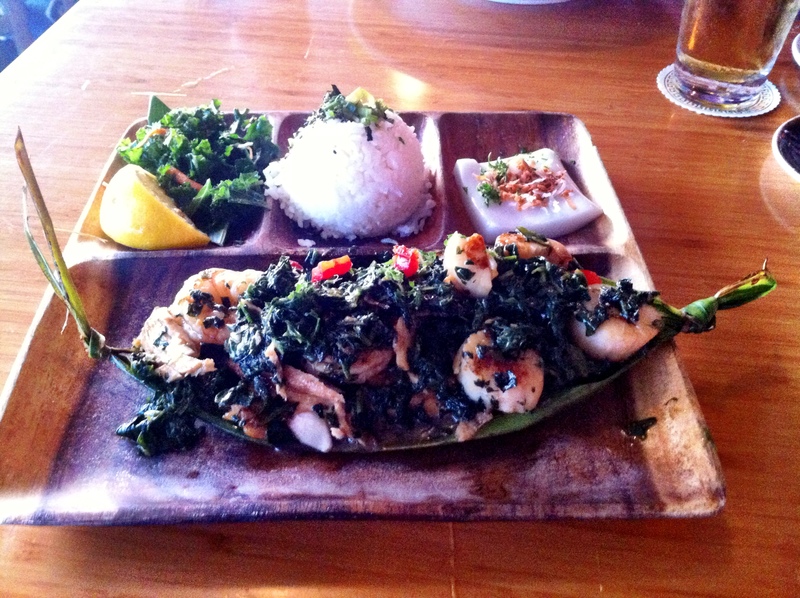 I had a Seafood Lau Lau, mahi mahi, shrimp, scallops, sweet potato and spinach sautéed in a flavourful oyster and sherry sauce in a ti leaf. Both dishes were absolutely delicious! If anyone makes it out to Maui, I would strongly suggests this restaurant. 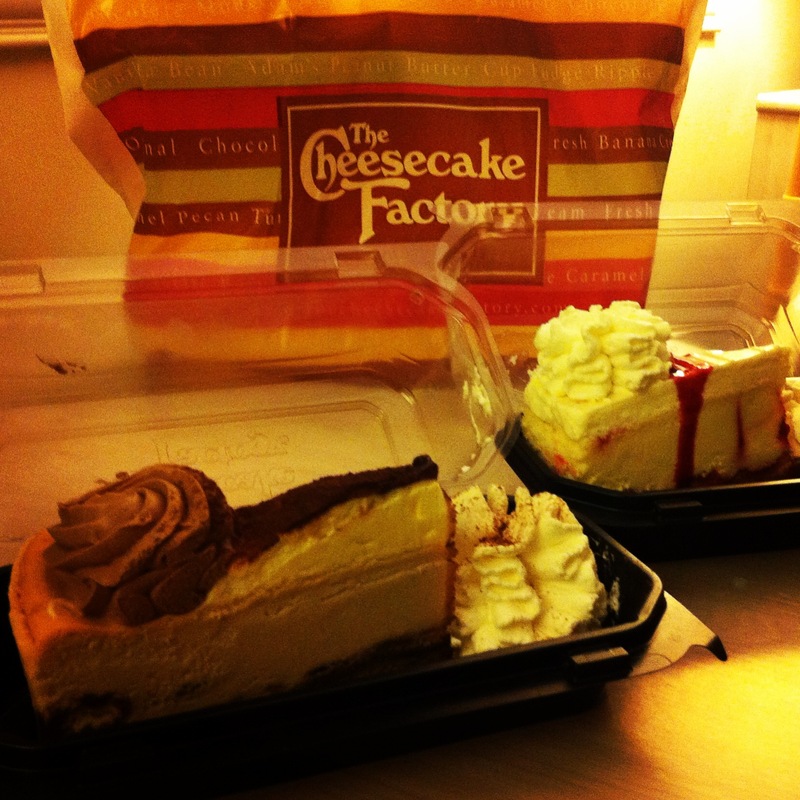 This was my first time ever going to the Cheesecake Factory. I must admit, even if their menu consist of over 10 pages, everything I had was great, not to mention the cheesecake was to die for! The Tiramisu Cheesecake was my favourite! 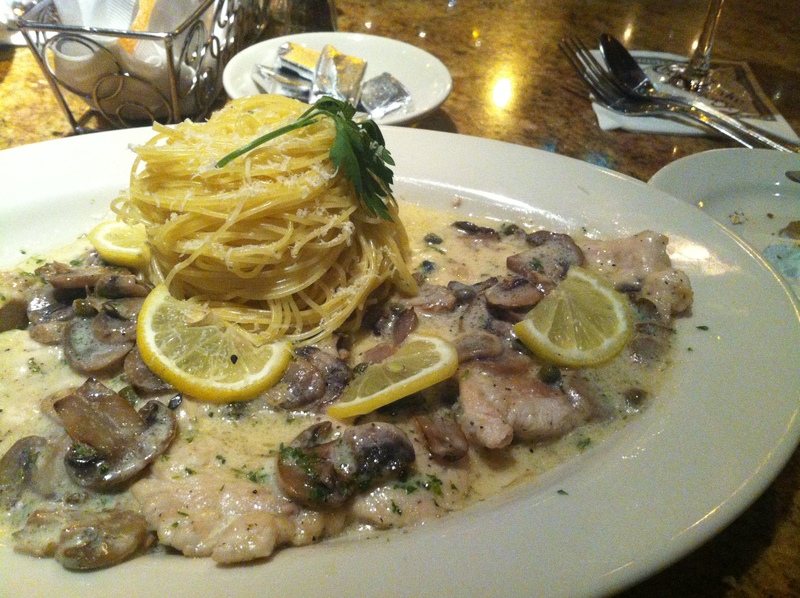 Chicken Piccata, sautéed chicken breast with lemon, mushroom and caper sauce. 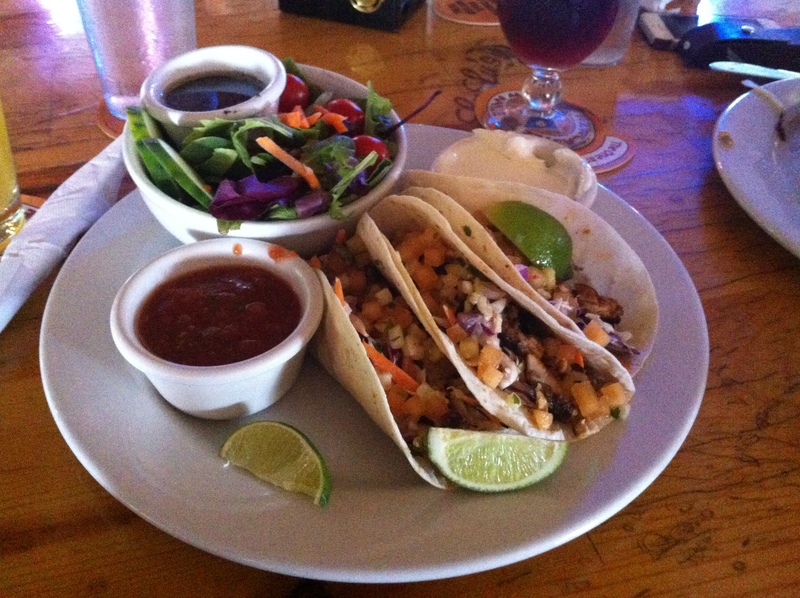 Fish tacos, seared to a perfectly and topped with mixed cabbage, black beans, chipotle aioli, and tropical fruit salsa, is the perfect lunch when in Hawaii. It’s light, yet filling, and very tasty! It’s even better with a beer! Thank you Lulu’s Waikiki! Anyone who really knows me knows that I’m not a huge fan of pineapple. 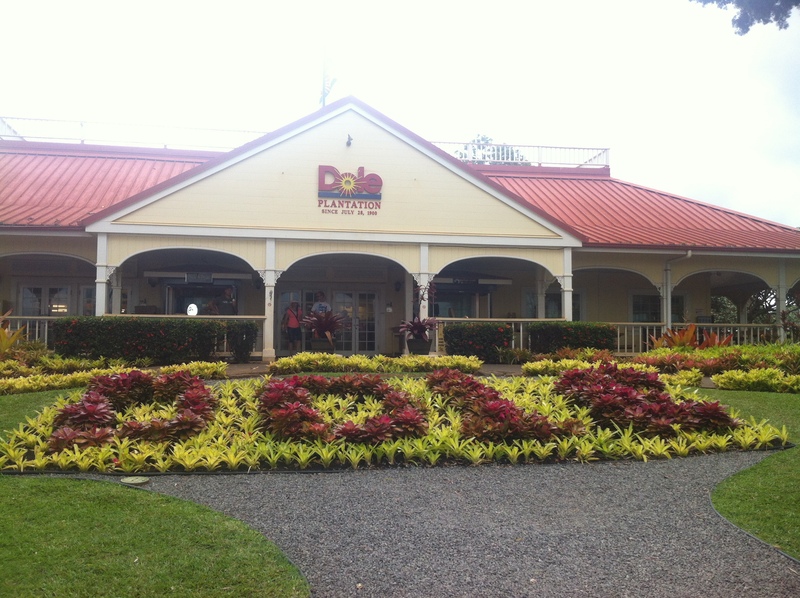 It didn’t stop me from going to the Dole Pineapple Plantation and try the pineapple ice cream. (Personally, the cone was the best part of that ice cream cone… I really don’t like pineapple.) 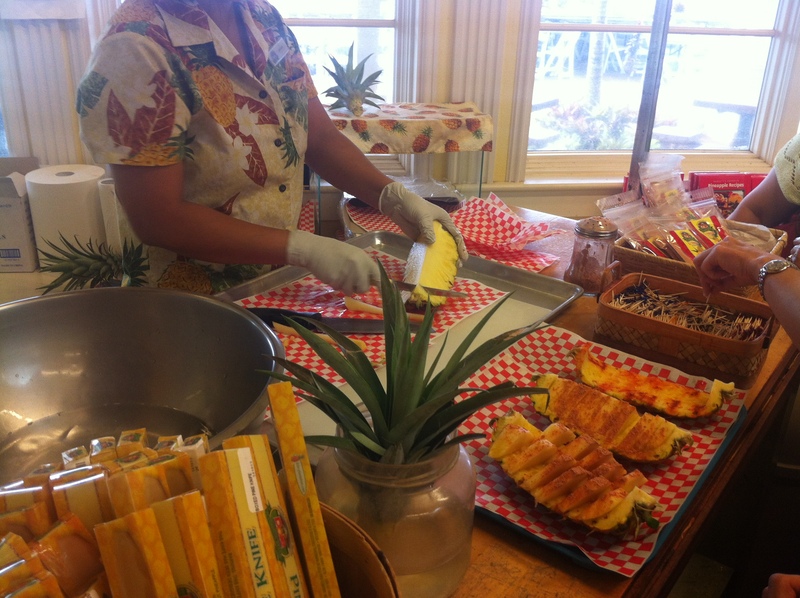 They even had a demonstration on how to properly cut a pineapple, with samples. 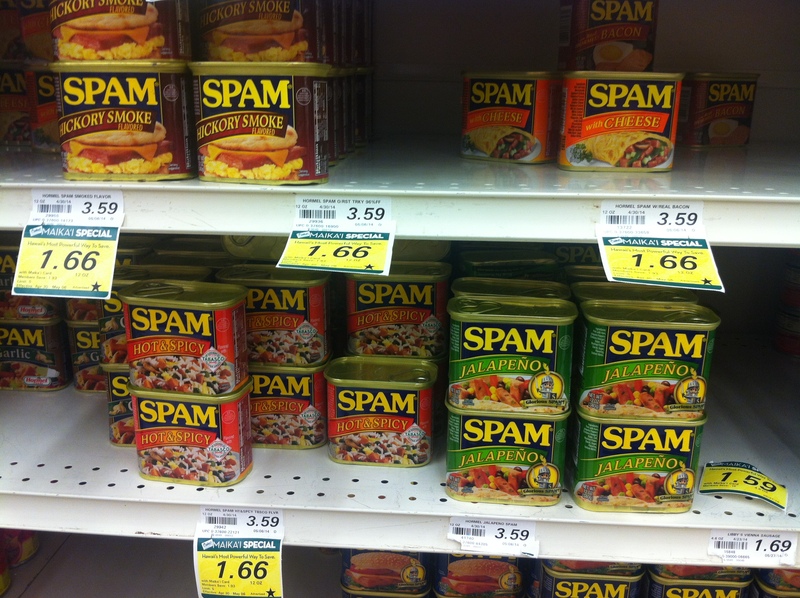 Spam, knows as a Hawaiian favourite, can be found everywhere; at McDonalds (SPAM, eggs and Rice breakfast platter), or SPAM sushi. At the grocery store, SPAM was one of the cheapest things to buy, not to mention the different types of flavoured SPAM to choose from. 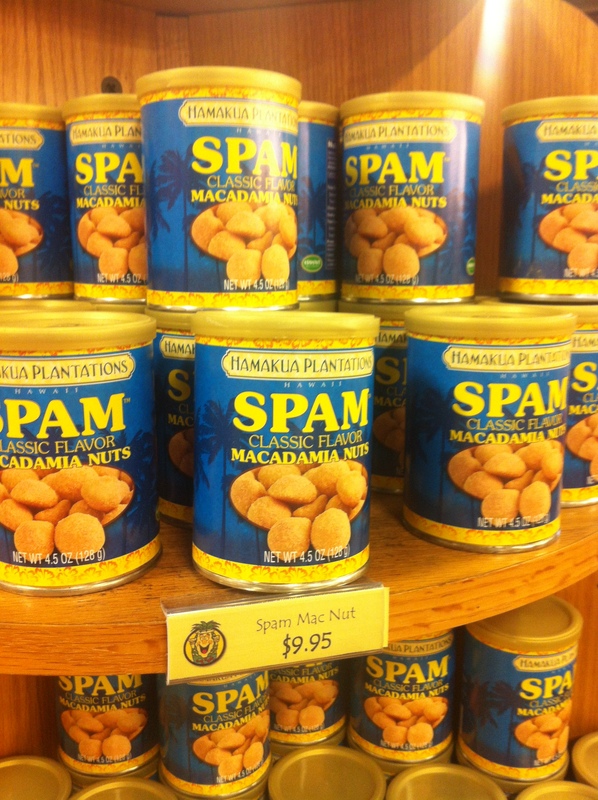 The Hawaiian’s love their SPAM so much, they even have SPAM flavoured macadamia nuts.